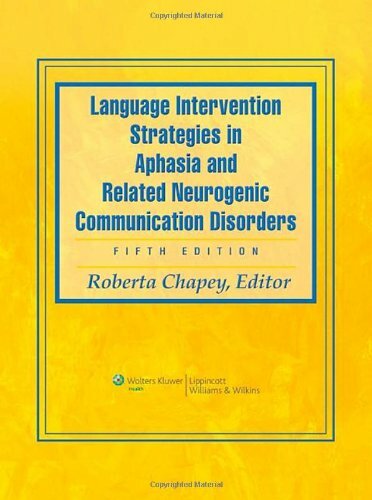 This thoroughly revised and updated Fifth Edition is the most comprehensive resource on aphasia and related neurogenic communication disorders from the most distinguished authorities of our time. This classic text has been used by graduate speech language pathology students for over 25 years, and continues to be the definitive resource across the speech sciences for aphasia. The book describes a wide range of intervention strategies including team treatment, group therapy, approaches for bilingual and culturally diverse clients, augmentative and alternative communication, and computer-assisted interventions. An important section addresses psychosocial/functional approaches to intervention. New to this edition are Activities for Discussion that encourage students to reflect on what they just read.